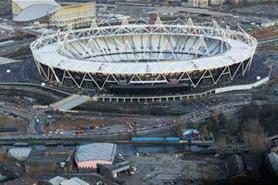 Prestige Ticketing today revealed that it has sold around a third of the corporate packages available for the London 2012 Olympic and Paralympic Games and predicts that companies investing in hospitality at the events will earn an ROI exceeding 12% - valued at around £1.6bn. The company, an official hospitality provider for the Games, commissioned the Centre for the International Business of Sport at Coventry University to carry out research into the commercial value of the events. The 12% figure is based on the value of branding, building goodwill and help in consolidating business relationships. The report also predicts that the total value of 2012 Olympic Hospitality is set to exceed more than £3bn, around £1.4bn of which can be attributed to hospitality packages sold to corporate clients, with the remainder attributed to the value of business deals signed as a result of the hospitality. "This is an estimate, but if anything, this could be a conservative estimate and my view is that it could potentially be much larger," said professor Simon Chadwick, director of the centre for the International Business of Sport at Coventry University. Andrew Burton, chief executive at Prestige Ticketing, added: "What this research shows is that buying corporate hospitality at London 2012 is a business decision that will deliver a significant return on investment for customers." Despite being available for six months, only 30-40% of packages have been sold, but Prestige said it expects demand to increase as companies set their marketing budgets for 2012. Packages range from £325 for some Paralympic events through to £4,500 for the Olympic opening and closing ceremonies and athletics finals. Corporate packages have already sold out for the women's hockey final and some days of tennis, diving and equestrian events.